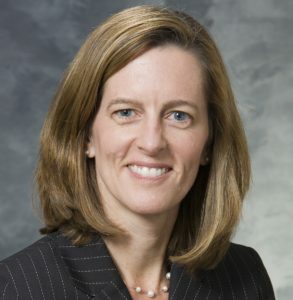 Elizabeth Burnside, MD, MPH, Deputy Executive Director of the Institute for Clinical and Translational Research (ICTR) is also Associate Dean in the School of Medicine and Public Health (SMPH). Dr. Burnside is also a Professor of Radiology in the University of Wisconsin School of Medicine and Public Health. Her degrees include an M.D. combined with a master’s in Public Health as well as a master’s degree in Medical Informatics. As a result, her research investigates the use of computational methods to improve decision-making in the domain of breast imaging in the pursuit of improving the population based screening and diagnosis of breast cancer. This multidisciplinary research is facilitated by affiliate appointments in the Departments of Industrial Engineering, Biostatistics and Medical Informatics, and Population Health Science at UW. Dr. Burnside’s research has secured continuous NIH funding since 2006 garnering a total of $4.6 million in extramural funding. She served as a charter member on the Biomedical Imaging Technology (BMIT) Study Section at the NIH. Dr. Burnside is a subspecialty trained breast imager with an active clinical practice providing all imaging and interventional procedure utilized for the early diagnosis of breast cancer. In addition to her role as a clinician scientist, Dr. Burnside has developed a track-record of mentoring clinician scientists and trainees from translational disciplines, also supported by NIH funding.